The ability of avian coronaviruses to replicate in mice was investigated to investigate interspecies transmission. 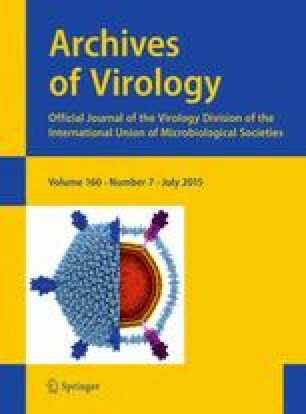 Two inbred mouse strains (BALB/c and A/J) with different genetic backgrounds were inoculated with the avian coronavirus strains Mass and BR-I and monitored for at least 10 days. Analysis of viral RNA, histopathological examinations, immunohistochemistry and serology were performed. After virus inoculation, neither clinical signs nor evident gross lesions were observed. Viral RNA, histopathological changes, and viral nucleoprotein were observed in the lung, trachea and sinus of all inoculated mice. Our study demonstrates the importance of elucidating the epidemiology of coronaviruses, including in rodents that are pests in poultry production. M. C. Martini and J. Gameiro contributed equally. We are thankful to Julia Benassi and Guilherme S. Pereira for their excellent technical assistance. CWA and TCC are recipients of a fellowship from CNPq. The Houghton trust also supported this work (HT/02.14/0669). This work was done within the UNIVERSAL project supported by CNPq (number: 472840/2011-8).